The present era can be safely regarded as the era of technological development, personifying unbelievable developments in the field of gadgets and related technology. Amongst all the developments that 21st century has witnessed, the development of smart phones can surely be regarded as the most successful and astonishing one. There isn’t an iota of doubt that smart phones have made our lives a lot easier and comfortable besides making all of us ultra smart and aware. However, one peculiar thing about smart phones is that they alone aren’t capable of keeping one aware and making one smart. Smart phones direly need applications that help its users to become pro-active and smartest of the lot and no one knows the art of developing such wonderful and useful mobile applications better than our team of mobile app developers at Infosoft technologies. Infosoft Technologies is one of the fastest growing IT solution providers that can be found today that has been successfully delivering impeccable IT Solutions to its customers since 1999. Our company acknowledges the fact that every employer and IT savvy company wants to get mobile applications developed and this is the reason why Infosoft has ventured into the world of developing mobile apps as well. At Infosoft, we have a team of highly enthusiastic, knowledgeable and experienced application developers that would always go an extra mile to develop the application that our clients want them to develop. Do you need a customized ios, Android, Windows or Blackberry mobile application? Or do you constantly feel the need of getting a cross platform mobile app that would cater to all your needs? If your answer to either of the above asked questions is yes and you are clueless about what kind of developer would actually be able to cater to your needs, then believe us you’ve landed at the right place. 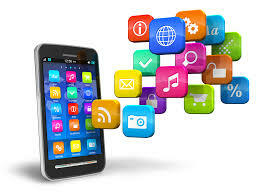 Our team of app developers is capable of creating cutting edge mobile apps that are designed using the most robust IT techniques and can cater to all your needs and demands. We just know the art of developing scalable mobile websites and applications that are easy to navigate and customize and that too without compromising on the quality of output that these apps tend to deliver to their users. The team of developers at Infosoft possesses expertise in developing e-commerce, educational, enterprise and utility apps. Basically, our team of mobile app developers works with a wonderful motto which says ‘if you can imagine it, we can make it for you’ and we proudly acknowledge the fact that none of our clients has ever been let down by our services. In the times when the concept of BYOD i.e. Bring your own device to the workplace is gaining momentum, no company or employer can simply ignore the relevance of carefully designed and ably developed mobile apps just like the ones we tend to develop at Infosoft Technologies. Infosoft Technologies doesn’t just possess a cutting edge over its contemporaries in the department of developing great apps, we even strive to deliver 100% customer satisfaction at all times. So, don’t wait any longer, engage our team with the task of your mobile app development and sit back to enjoy the wonders of Mobile App that we’d create for you.